"The contents should resonate with all paramedic students as they develop their practice experience, try to make sense of their clinical activity and deal with the ambiguity that is daily paramedic work when responding to emergency calls. 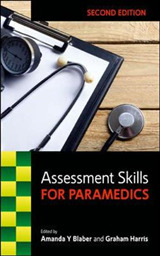 Additionally, this excellent book provides a framework for paramedic students as they start to consider their capability in important areas such as communication, managing situations and people, learning from experience and decision making." 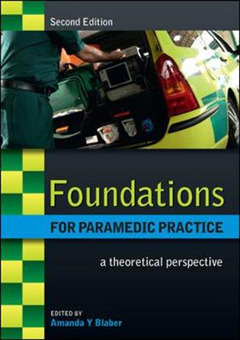 Andy Freeman-May, Senior Lecturer, Paramedic Emergency Care, Oxford Brookes University, UK"An essential text for new student paramedics discovering their professional identity and working towards registration and also for registered paramedic practitioners as part of their life long learning and continued professional development ... Having an understanding of the subject matter within this book is of paramount importance for the paramedic practitioner of the future." 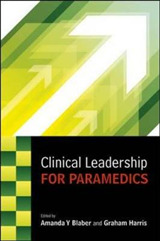 Paul Bates, Higher Education Programme Manager, London Ambulance Service NHS Trust, UK"This book covers areas of emergency care vital to the role of a paramedic, which are traditionally under-taught and often complex to understand. Blaber simplifies legal, ethical and moral issues faced by front line paramedics and also helps students to write constructive academic essays for those all important university assignments. A fantastic, well written book, which is well presented and full of useful references." Ruth Lambert, Paramedic"This enjoyable book is written in a language and a format which is easy to read and follow. The bitesized chapters feature a comprehensive reference list, enabling further research, and 'stop and think' examples which encourage you to consider your own knowledge and experiences whilst reflecting on how theory fits with practice. The additional sections on Vulnerable Adults and End of Life Care are also invaluable. 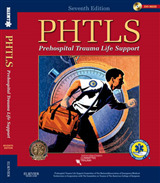 A must for both student and experienced paramedics." 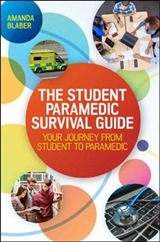 Emma Redwood, Paramedic This popular undergraduate level book introduces the main theoretical subjects studied in higher education paramedic courses. The second edition links ways of working to appropriate theory and reflects the current curriculum guidance from paramedic professional bodies. The book covers a wide variety of academic subjects, including those not traditionally taught in ambulance 'in-house' training, such as psychology and sociology. This expanded edition includes three new chapters on Specialist development roles for the paramedic, Care of vulnerable adults and End of life care. 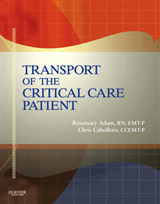 The book also covers: Ethics and law for the paramedicReflective practice and communicationProfessional issues, including clinical audit and governance and anti-discriminatory practicePsychological perspectives on health and ill healthSafeguarding childrenSociological perspective on health and ill health and social policyManaging change, decision making and leadership theory Foundations for Paramedic Practice, 2nd Edition is a core text for student paramedics and a valuable resource for students of the allied health professions. Written by a team of experts from across the UK, the book includes numerous links to practice, illuminating case studies and examples to encourage you to 'stop and think' and reflect upon your practice experience. Contributors: Amanda Blaber, Vince Clarke, Alison Cork, Steve Cowland, John Donaghy, Rachael Donohoe, Bob Fellows, Ann French, Graham Harris, Mary Larkin, Linda Nelson, Marion Richardson, Paul Street and Jackie Whitnell.